A 90 minute guided dawn tour of Warrawong Wildlife Sanctuary enables visitors to explore the property with an experienced and knowledgeable guide. From platypus spotting to bird watching, dawn is a wonderful time at Warrawong. 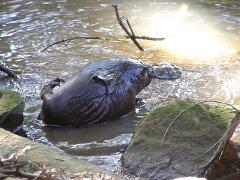 The famous guided dusk tours at Warrawong Wildlife Sanctuary last 90 minutes. From platypus spotting to bird watching, dusk tours provide a spectacular opportunity to experience the awakening of Australian wildlife.